Looking for vacancy as Master or Chief Officer / Container Ship. 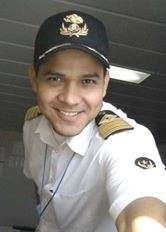 Home > Marketplace > Jobs & Careers > Mexico > Looking for vacancy as Master or Chief Officer / Container Ship. Looking fo any available position as Master or Chief Officer. I have experience sailing on Container Vessels up to 8000 TEUS / 88000 GRT / and up to 305m LOA, as Master with Southern Shipmanagement Ltd (Chile) for Container Ships owned by Hapag Lloyd & CSAV. And currently looking for an opportunity to continue with my professional career and to offer proven and developing skills within your good company. Ship handling experience of Container Ships up to 8000 TEUS / 88000 GRT in congested and shallow waters areas as Singapore & Malacca Strait, Chinese ports, Suez canal, English Channel & Dover Strait. Served onboard Container ships operated by Hapag Lloyd & CSAV, sailing in following Trading areas: INDAMEX/IMX, ASE1, AME1, GS1 US Gulf, BPX, BLX (Europe – SAEC), AX2, MGX, EUM.